We bring to you all the great ways to bring so many colours to your fall projects. 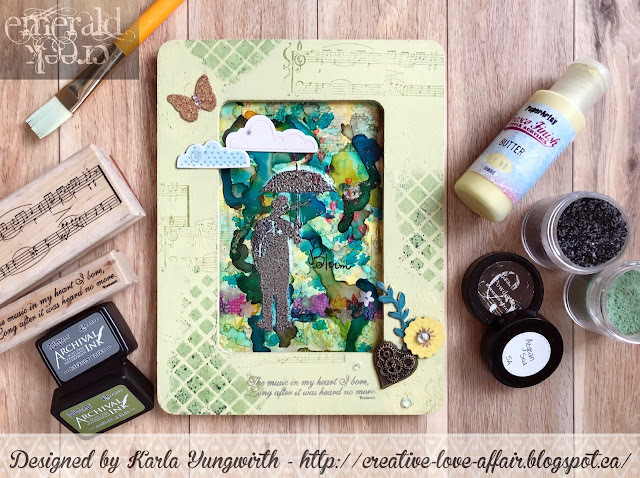 Distress paints, stains and ink by Tim Holtz and Ranger, Ken Oliver colour bursts all found their way into our projects, and Sizzix and Spellbinders had all the dies to compliment our paper projects for exquisite colour and detail accents. 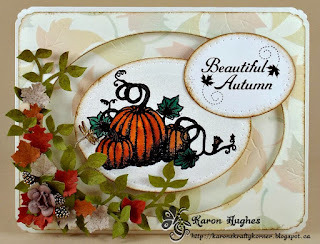 Karon's, Hello Thursday - Autumn Pumkins, was perfect card went straight to "Pete's Place", the pumpkin patch stamp. I love her use of colours, dies and of course the Emerald Creek Pine Cone Charms, all inked up to coordinate. 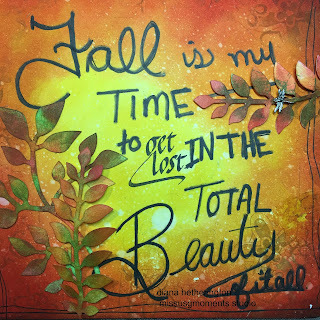 Cathy's "Welcome Fall" piece is so fun. I love the colours, I love the scrabble pieces. 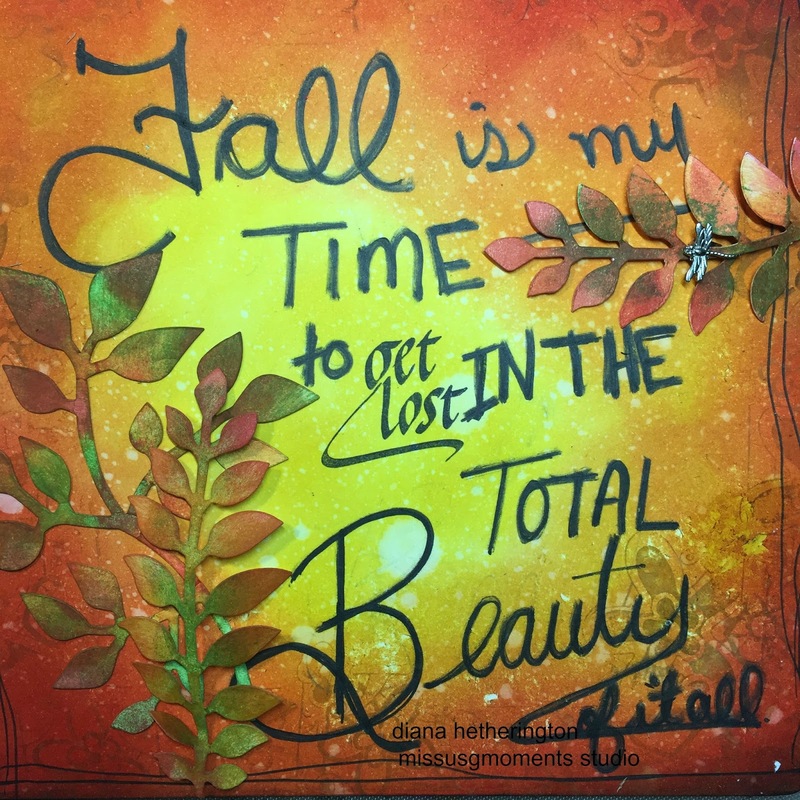 this piece is sure to spark your creativity and get your fall and holiday project ideas flowing. Please enter your creation to win. Happy creating! Congratulations to Tracy Evans winner of the 80"s Dare with her totally awesome use of colour. Fabulous makes everyone - wow!!! Well done everyone!! loving the fall colors! Ohhh I love fall and you guys rocked the fall colours!